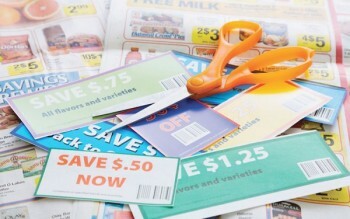 Even shoppers who don't go to extremes can save substantial amounts of money with coupons. * Understand stores' coupon policies. Begin by researching if stores you frequent have restrictions on coupon usage. Some stores will double the value of coupons and others will not. Stores may set limits on the number of coupons one register can process or how many coupons a particular shopper can use at one time. It may be possible to use two different coupons for the same item, provided one is a manufacturer's coupon and the other is store-based. The more you know about the coupon policies at your favorite stores, the more likely you are to use those policies to your advantage. * Get organized. Using coupons effectively requires some organization. Develop a system for categorizing coupons by type or expiration date, which should ensure you don't miss out on discounts because you lost coupons of they have expired. * Subscribe to several newspapers and coupon websites. Newspapers and store circulars are still great resources for coupons, so subscribe to your local newspaper, which likely still includes inserts advertising the latest sales and coupons. You also can subscribe to coupon websites, many of which are free and deliver coupons to subscribers' email inboxes on a daily or weekly basis. * Consider a coupon-clipping service. A coupon service will clip coupons for you and send them to you for a fee. This enables you to collect coupons from various regions where coupon values may be higher than where you live. * Join a store loyalty program. Those cards supermarkets and other stores scan at checkout do more than just track your purchases. They typically entitle members to discounts that other shoppers are not privy to. 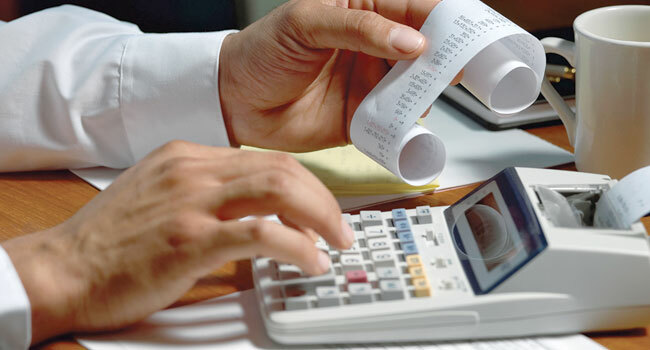 These discounts come off the bill automatically, saving you time and money. Furthermore, being part of a store loyalty program may entitle you to emails or other advertisements on special sales not open to the general public. * Learn how to stack coupons with store sales. Many blogs tell you which stores are running sales and how they compare to coupons in recent newspapers and circulars. This enables you to not only get the sale price on a particular item but also earn the coupon discount. This is a good way to save even more money. * Get to know the standard prices of products. The only way to know if a coupon is a good deal is to be familiar with the going rate of the products you buy on a regular basis. When visiting the grocery store, make a note of how much your favorite items cost at full price. This way you will know when a sale is truly a sale. * Be prepared to stock up. Some of the best deals to be had involve buy one get one free, deals which are often referred to as "BOGO" or "B1G1." When such deals can be combined with a coupon, the savings are substantial. Set aside a rack or area of the home for stockpiling your BOGO purchases. * Don't forget about paperless coupons. Paperless coupons, or ecoupons, are often linked to store loyalty programs. Many ecoupon services require shoppers to sign up online and provide some basic information about themselves. When you go to check out at the store, you will swipe your customer card and any available ecoupons will automatically be deducted from your purchase. Ecoupons are usually redeemed at face value and cannot be doubled or shared. * Try competitors' coupons, too. Some stores will honor coupons from their competition. If one supermarket is offering a particular BOGO deal, clip the coupon and bring it to your local store to see if they will match the discount.